Love-A-Stray is participating and eligible charitable organization with AmazonSmile. Did you know every time you make a purchase on Amazon you could be donating to Love A Stray at NO COST to you?? 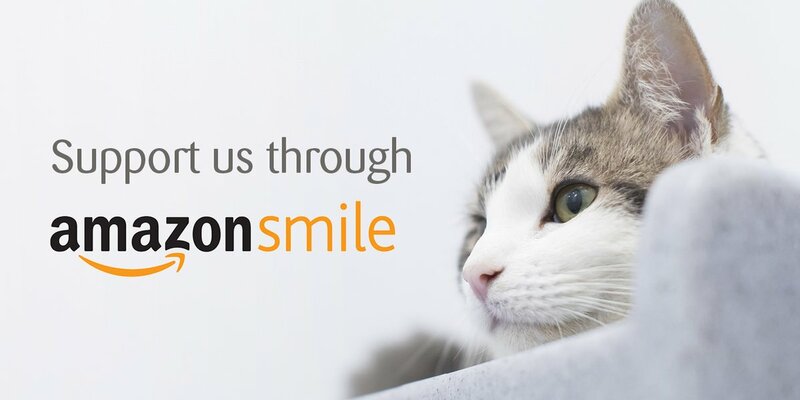 You can automatically help feed our cats at NO COST TO YOU when you select Love-A-Stray as your charity on Amazon Smile and shop on Amazon Smile instead of Amazon.com. Everything at Amazon Smile is exactly the same as you are used to at Amazon — same exact products and prices. If you have a Prime account, it will still be there. The ONLY difference is that 0.5% of your purchases are automatically donated by Amazon to Love-A-Stray. Click here to view our Supply Wish List.